If you love excitement, are glued to the news and have a creative eye, a career as a photojournalist could be a match. Photojournalists are story tellers who enjoy making a difference in their communities. The job of photojournalist often brings to mind images of a photographer snapping pictures as bullets whiz past the camera or of scenes after a natural disaster. However, a photojournalist could have many tamer assignments, such as snapping photos of a Veteran’s Day parade or capturing an interview of an elected official. According to the Bureau of Labor Statistics (BLS), photojournalists are also called news photographers. Your subjects as a photojournalist are people, events and places. You’ll furnish images to newspapers, television, journals and magazines. While some assignments require still photos, photojournalists typically use digital video. In recognition of the growing importance of news photographers, in 2000, The Pulitzer Prizes added the Breaking News Photography category. A photojournalist is first and foremost a journalist whose work portfolio consists of both still photos and digital images. For most jobs, you’ll need a bachelor’s degree in journalism or an undergraduate major in another concentration plus journalism training. In this career, you’ll use varied kinds of equipment. You’ll need a nose for news, solid reporting skills and computer knowledge. Artistic ability and creativity are important for composing still photos or video. If you opt to become a freelance photojournalist, you’ll need the skills to run your own business. The life of a photojournalist is often hectic. You could travel a lot and be on the job for long periods, sometimes in bad weather or in hazardous conditions. According to the Chicago Tribune, to be a successful photojournalist, you need to be sort of a lone wolf and someone who either has a flexible family life or is single. You must be passionate about the power of an image, fearless and able to work fast and decisively. Other important qualities are the ability to objectively edit your own work, having a competitive streak, being clever and creative and possessing a relentless attitude. Photojournalism is a specialization within photography. 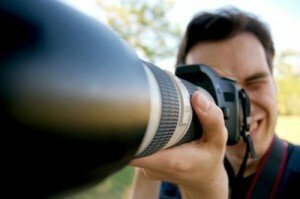 The median pay for a photographer in 2010 was $14.00 per hour, or $29,130 a year, the BLS reports. While the demand for photographers should grow 13 percent between 2010 and 2020, the projection for news photographers in the newspaper industry is a 30 percent decline. This is due primarily to less of a demand for still images in print editions. You’ll need a bachelor’s degree in journalism or in another discipline with classes in journalism, plus technical skills from photography training. You can get these from colleges, trade or vocational schools, camera clubs or informal apprenticeships. A few colleges offer undergraduate majors in photojournalism. The School of Journalism & Broadcasting at Western Kentucky University offers this concentration. Beyond standard journalism courses, students develop the artistic and technical skills photojournalists need and an understanding of the role of photojournalism in society. They have the opportunity for photographic practice to improve skills. Once you have the formal education and technical skills necessary to become a photojournalist, look for an internship or an informal apprenticeship with an experienced photographer for specialized training and professional contacts. Being a member of a camera club is also an excellent way to develop contacts. Photojournalism is a competitive field. You’ll need to continually update your skills and should consider joining a professional journalistic or photography association. The National Press Photographers Association offers training at sites throughout the country, as well as online courses.